Patellar Tendon pain, also known as jumper's knee, is a painful condition most commonly seen in athlete's engaged in jumping sports such as track and field, basketball, and volleyball. Common causes of this condition include training errors (too much too soon) and underlying weakness in the quadricep and hip musculature. The gold standard of treatment for this condition involves the application of sub maximal loading through Physical Therapy exercises to promote healing (remodeling) of the tendon. In short, doing too little is as bad as doing too much. Exercise begins to heal the injured tissue through a process called mechanotransduction and without it tissues remain in an immature, weakened condition. In the knee, promising research is being conducted showing the immediate and short term benefits of isometric loading (45-60 seconds), but new research suggests patients may benefit from shorter loading times. In the Clinical Journal of Sports Medicine, Pearson and colleagues randomized patients with patellar tendinopathy to one of two groups (2018). Patients were placed in either a short duration (24 sets of 10 seconds) or long duration (6 sets of 40 seconds) isometric loading program at 85% of their maximum voluntary contraction. As you can see from the prescriptions time under load (240 seconds) was balanced between groups. Authors reported the short duration isometric loads were as effective as the longer duration isometric loads as long as the time under tension was equalized. This study provides more flexibility to both patients and Physical Therapists when treating patellar tendinopathy. The take home message is load injured tissues sub maximally to promote an optimal healing environment. In our prior posts we have described the injury risks associated with athletic activities. There will always be an inherent risk with athletic participation but current research is identifying Physical Therapy tests which can help predict future injury. These test batteries involve movement assessments of functional positions such as squatting, jumping, and landing. The information gained from these pre participation screenings allows the Physical Therapist to identify known risk factors for injury including weakness, instability, and balance impairments. The star excursion balance test is a function test assessing an individual's ability to maintain stability on one leg as they reach their opposite leg in multiple directions. The distance reached is measured and compared from side to side. Asymmetrical movement patterns and reach distances have previously been shown to predict future risk of injury. In one study, athletes with a greater than 2 inch reach difference between legs were shown to be twice as likely to sustain an injury in the upcoming season. A recent article in the Journal of Orthopedic and Sports Physical Therapy examined the predictive ability of the star excursion balance test among NCAA Division I athletes (Stiffler et al. 2017). 147 athletes were retrospectively analyzed after the completion of their season for both pre season athletic performance and injury status. 20% of these athletes sustained a non contact injury to their knee or ankle during their athletic season. Balance test measurements were analyzed in this group to determine the impact of pre season testing on the develop of a future non contact injury. The authors reported asymmetries in forward reach distance during the star balance excursion balance test were able to identify injury vs. healthy athletes. To learn more about pre season injury prediction testing visit your local Physical Therapist. In our previous posts we have detailed the risk factors for ACL injury and the effectiveness of Physical Therapy to reduce this risk especially among adolescents. A percentage of athletes who return to sport will re injure their ACL leading to further surgeries and Physical Therapy. A delayed return to sport allows the athlete more time to resolve muscle imbalances and coordination impairments leading to decreased re injury risk. As we learn more about these athletes who re injure their ACL reconstructions we will have a better idea of how to prevent the injuries. A recent large study in the The American Journal of Sports Medicine reviewed patient charts who underwent an ACL reconstruction surgery in the US Military over a 7 year period (Pullen et al. 2016). Over 17,000 procedures were performed over this time period and 587 soldiers underwent revision surgery (3.6%). The median time to re injury among these individuals was 500 days. Athletes at greater risk of re injury included younger, active duty soldiers who took anti inflammatory medication during the perioperative period. This study also identifies the potential harm of taking anti inflammatories during rehabilitation for ACL repair. Cycling is one of the most popular outdoor activities in Boulder. Cyclists we encounter in our Boulder Physical Therapy practice most commonly complain of pain on the front of their knee or anterior knee pain. Research shows 1 in 2 competitive cyclists have experienced this knee pain resulting in lost training and competitions in over half of those affected (Clarsen et al. 2010). A cyclists exposure to the impact of poor pedaling biomechanics is amplified by the volume of their training. It is not uncommon for a competitive cyclist to flex and extend their knee over 5 million times per year during their training sessions and competitions (Callaghan et al. 2005). In addition to training errors, bike biomechanics remain one of the key sources of an athlete's knee pain. Athletes who have excessive movement in their lower bodies both reduce their cycling economy and performance, as well as, increase their injury risk. In particular, the movement of the knee toward or away from the frame increases stress across the knee especially during the power portion of the pedal cycle. The suboptimal mechanics change the alignment of the knee and the ability of the leg muscles to import forces on the foot and pedal. Commonly, bike fitters use shoe orthotics or wedges to modify the relationship between the foot, shoe, and pedal. Research has shown a rigid cycling shoe is the most economical and efficient interface with the pedal allowing cyclists to pedal at a lower % of their VO2 max for a given work load compared to a softer shoe. Research regarding orthoses or wedges on cycling alignment and mechanics are fewer in number. The limited research shows these orthoses or wedges 5-10 degrees can temporarily impact mechanics but their long term efficacy as a tool remains to be limited (Fitzgibbon et al. 2016). They are most likely to benefit those athletes with true structural alignment impairments in the leg. Conversely, many of our patients's symptoms improve quickly with Physical Therapy interventions to correct impairments such as limited range of motion and muscle imbalances in the leg. Once these are addressed an athlete is better able to use cuing and movement retraining to improve static and dynamic alignment of the knee while cycling. In summary, athletes need the capacity to control the knee position through strengthening then the appropriate retraining to use that strength in an optimal cycling pedal cadence. In prior posts we have documented the impact of ACL injuries on our athletes. Unfortunately, these injuries are becoming more common especially among female athletes who are up to 8-10 times more likely to sustain an ACL injury compared to their male peers. The risk factors behind these injuries have been described in previous posts, but it is important to note the majority of these tears are non contact in nature. Most commonly, when an athlete in slowing down, changing direction, or changing speeds. Within these sport movements we can examine the importance of technique, balance, coordination, and strength. Without a foundational level of hip strength the thigh bone can move in extreme ranges of motion on the shin placing the ACL ligament at a greater risk of tearing. In our Physical Therapy practice we often see athletes who present with weakness in their outer hip musculature. These muscles are crucial for all sport movements due to their ability to control movement at both the pelvis, hip, and knee. Weakness or decreased contribution from these muscles in sports limits the ability of the body to actively decelerate the lower extremity. Research has been debating the cause or correlation of hip weakness in ACL and knee injuries. Does hip weakness lead to knee and ACL injury? A recent study in the American Journal of Sports Medicine examined the predictive value of hip strength testing among athletes (Khayambashi et al. 2015). 500 athletes underwent pre season hip strength testing prior to competing in their respective sports. ACL injuries were tracked and categorized as either contact or non contact in nature. The researchers reported a 3% annual incidence in ACL injuries based on the 15 non contact injuries (6 female) sustained in season. Of note, was the predictive nature of hip weakness on future ACL injury. The injured athletes had significantly less hip abduction and external rotation strength as a percentage of their body weight compared to their non injured peers. This article adds to the existing evidence on the importance of pre season sports screening by Physical Therapists. These screenings can help identify injury risk factors so at risk athletes are placed in appropriate injury prevention programs. For more information contact your local Physical Therapist. In our practice, we commonly see adolescent baseball athletes suffering from shoulder and elbow injuries. On average 1 in 2 youth throwers will develop arm injuries and on average major league throwers lose 22 days per season due to arm injury (Conte et al. 2001). These injuries are mainly overuse in nature secondary to muscle imbalances, skeletal immaturity in youth, and poor pitching mechanics. In particular, the majority of these athletes are throwing primarily with their arms and not taking advantage of the power generated by the lower body during the pitching sequence. Injured throwers may also present with lower extremity weaknesses leading to increased arm stresses during pitching. Baseball pitching is a whole body movement pattern requiring coordinated movement and strength from multiple joint regions in legs and arm described as the kinetic chain. In pitching, the kinetic chain allows the transfer of power through a series of body regions from the feet through the throwing hand (Pappas, 1995). Kibler et al. stated proximal stability (foundation) allows for effective distal mobility and acceleration of the arm (2006). Effective utilization of the kinetic chain is responsible for fastballs exceeding 100 mph. Major league throwers with the highest velocity, accuracy, stamina, often have the greater leg strength and power compared with lessor pitchers. 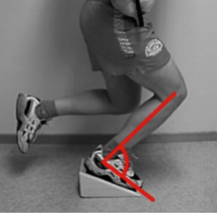 Prior research has demonstrated up to 50% of a thrower’s velocity is produced by the lower body (Calbrese et al. 2013). We also know the utilization of this strength in a pitching movement, either a lateral or forward hop, is directly related to pitching velocity (Lehman et al. 2013, Nakata et al. 2013). Clearly the strength and movement produced by the legs improves the ability of the arm to produce forces and movements needed in baseball. A recent article in the Journal of Strength and Conditioning Research examined if stride forces between the foot and the ground could predict pitching velocity (McNally et al. 2015). The authors found contact forces during the cocking and acceleration phase of the throw was associated with increased ball velocity by the pitchers. The throwers with the highest ground reaction forces were able to produce the fastest throws. In short, a thrower with inadequate leg strength and mechanics is at higher risk for arm injury and limited effectiveness on the mound.